Safety skirt + shoe bag for Apollo Sport 400 trampoline. To stop anyone from going under the trampoline, the Apollo Sport 400 safety skirt will be your best ally. It forms a safety barrier on the lower part of the trampoline, stopping your children from hiding under the trampoline. The same goes for any animals, for example your pets, that could find refuge in the space under your trampoline. It is very risky to be beneath the trampoline when it is in use. When someone jumps on the jumping pad, it will stretch and be susceptible of touching the ground. 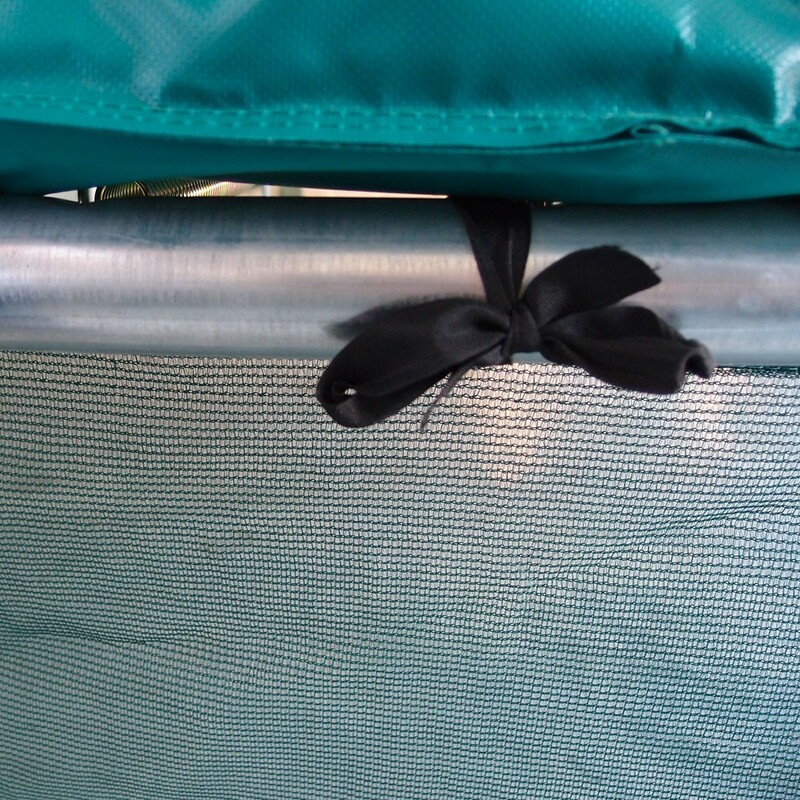 It is therefore vital to place a safety skirt around the trampoline and secure the area. - The very fine netting from which the skirt is made from is designed so that you can look through it, making it very easy to check if anything is beneath the trampoline before beginning your trampolining session. - The skirt also has a shoe bag making it not only a fantastic safety component, but also very practical. This shoe bag is stitched to the skirt of the trampoline, allowing you to stow shoes, keys, telephones, snacks for your children, accessories… The five pockets will be very useful and will allow you to enjoy your trampoline fully without dropping anything during your session. 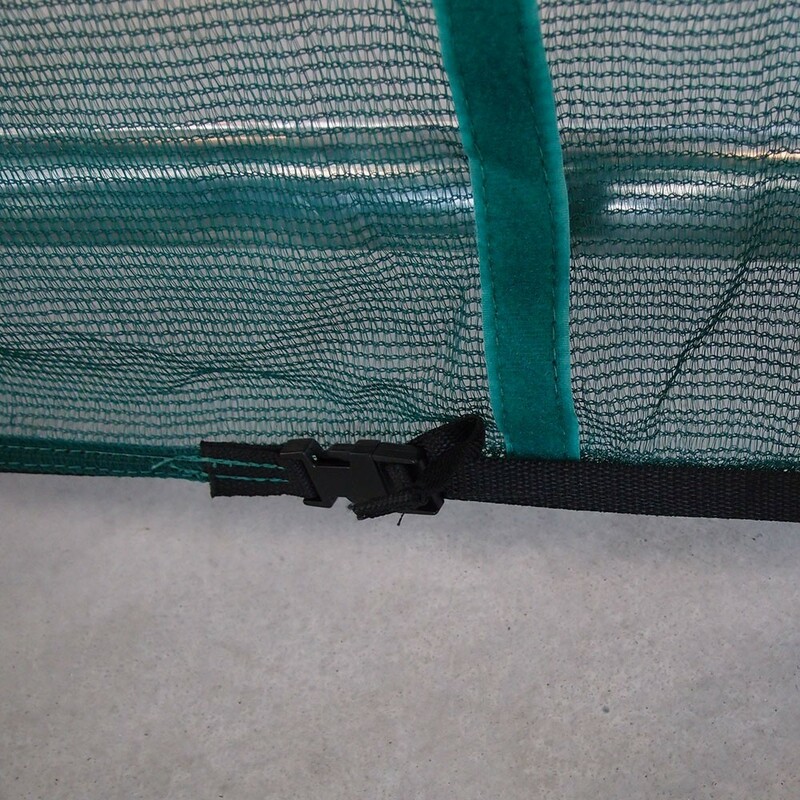 - The protective skirt is quickly and easily fixed to the galvanized frame of the trampoline. Metal pegs hold it firmly to the ground, reinforcing it and making the whole structure more stable. - The safety skirt is green blending perfectly into your garden. 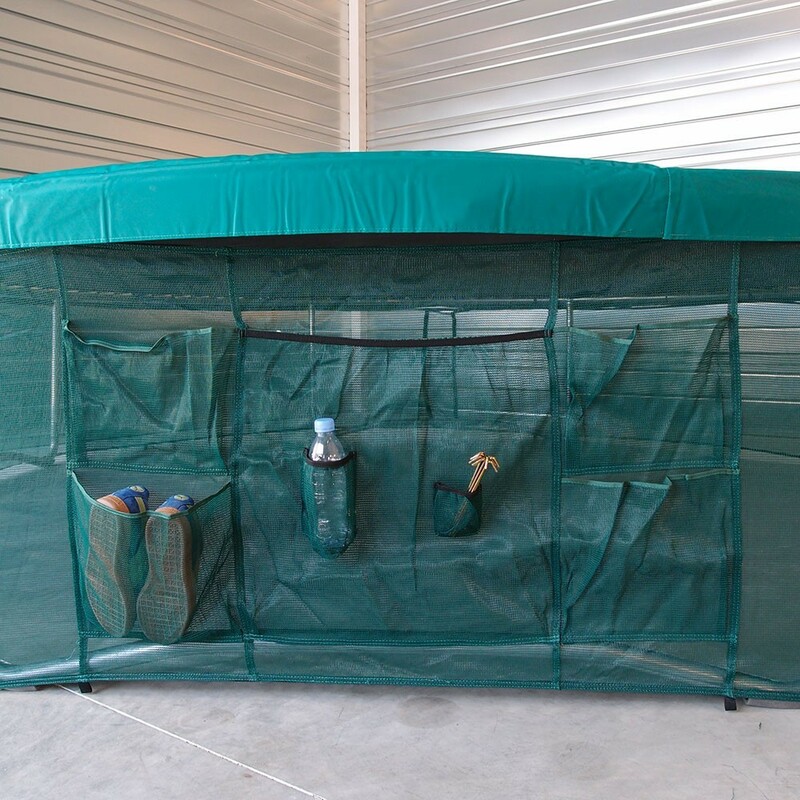 - This protective skirt is perfectly compatible with the rectangular Apollo Sport 400 trampoline.